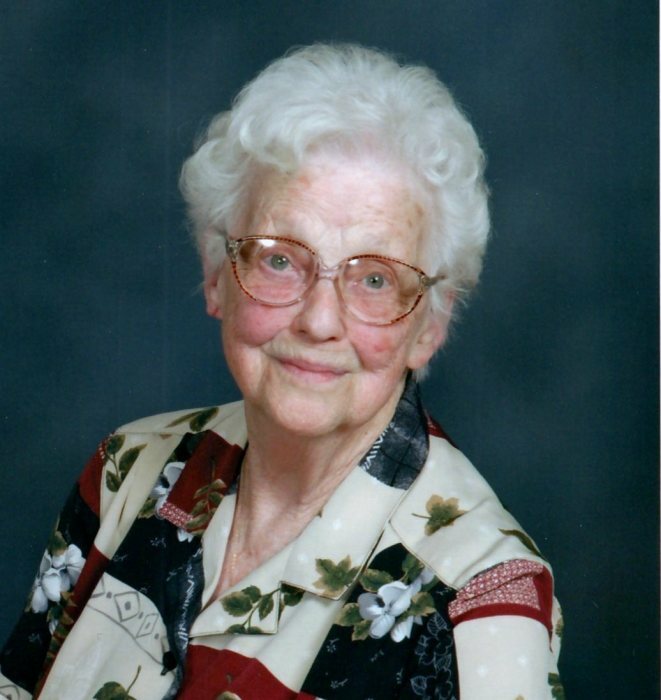 COSHOCTON - Helen Agnes Williams Guy passed away peacefully at home Sept. 13, 2018. She was 99 years old. Born in Walhonding, OH on April 5, 1919, she was the first child and only daughter of George Jackson "Jack" and Zelma Holice (Elder) Williams. As a child she lived in Columbus, Coshocton, and later at the Orchard Heights property at the top of High Street in Roscoe. Helen graduated from Roscoe High School in 1937 and from Ohio University in 1942 with a BS in Home Economics. On August 27, 1939, she married Rev. Willard Arthur Guy, Jr. They met as adolescents when his father was the minister at what is now Central Christian Church. Although his family later moved away from Coshocton, Willard never forgot the sweet girl he managed to sit by in church. Their courtship began while Helen was still in high school. Helen and Willard were married over 70 years before Willard's death in 2010. During those years, through times of joy and sorrow, they shared the trust, optimism, and love that was forged when they were separated by Willard's Army Chaplaincy service for over two years during World War II. Willard's post-war career led them first to Medina, OH, then to Pittsburgh, PA, and then back to Ohio where they continued adding to and raising their family in Mt. Vernon and Toledo. Nearing retirement age saw them back in Coshocton County where Willard served the same church as his father. After years of living in parsonages, Helen thoroughly enjoyed having their own home in Walhonding to remodel, decorate, and enjoy for 35 years before they down-sized and moved to Coshocton in 2009. In addition to being an active and involved minister's wife and helpmate, Helen was an excellent homemaker and the loving mother of three daughters. The skills Helen developed through her Home Economics degree were used to enrich her family's lives with nutritious meals, excellent money management, and sewing abilities. She instilled in her children her love of reading and a desire for learning, encouraging each to pursue her own interests. She is survived by a daughter, Julie Guy (Thomas) Heil and three grandchildren: William G. (Mary) Palestrant of the Johnstown area, Sarah M. (Aaron) Clark of Granville, and Kimberly Dawn Veatch of Reynoldsburg; 4 great-grandchildren: Spencer Palestrant and Bailey, Jackson, and Ella Clark. She is also survived by two brothers Robert L. (Shirley) Williams of Athens, Ohio and Fred E. (Barb) Williams of Coshocton, a sister-in-law, Dorothy Williams, and numerous nieces and nephews. In addition to her husband, Helen was preceded in death by her parents, daughters Zelma Guy Palestrant and Rev. Mary Beth Guy and brothers Max, William, and Charles Williams. In lieu of flowers, memorial contributions may be made to Central Christian Church, 722 Main Street, Coshocton, Ohio 43812. The family appreciates the support of friends, private caregivers, and members of the Community Hospice team.